These lovely necklaces features the sparkle & gradient of natural shell pendant. The Pendants are natural & handcrafted which makes it unique. 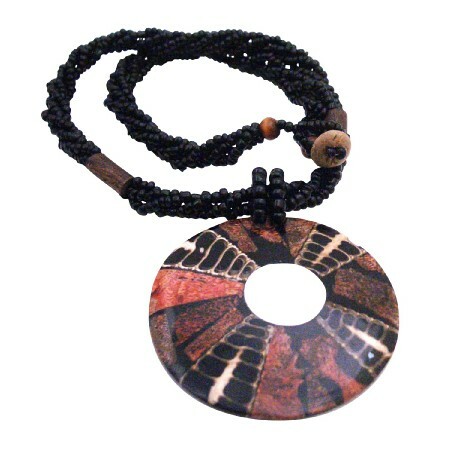 Complemented with coco shell wood & black beads neckline. A perfect present that she will surely love. Which is really unique style. This necklace was professional hand strung each Black bead. Super Grade RARE HIGHEST QUALITY. Quality A to AA. It is the traditional Jewelry.This necklace is very popular gift for someone you love or special. Good shinning surface quality.